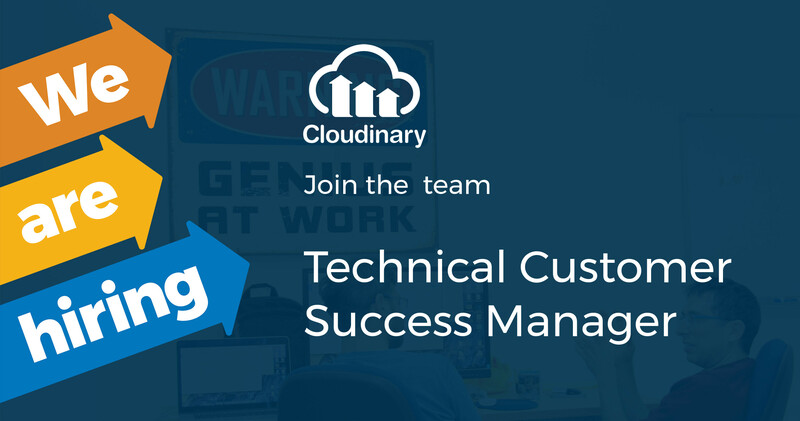 We are searching for a talented, tech-oriented and experienced Customer Success Manager to help our enterprise customers make the most out of Cloudinary. You would be part of our Customer Success team and would be focused on increasing adoption of Cloudinary's solutions with our customers. Oversee the onboarding of new accounts and ensure a successful conclusion. 2+ years experience as a Customer Success Manager in a SaaS company. Ability to travel up to 20% (as required).